In this post, we will show you how to remove the AVG email signature from all outgoing emails! 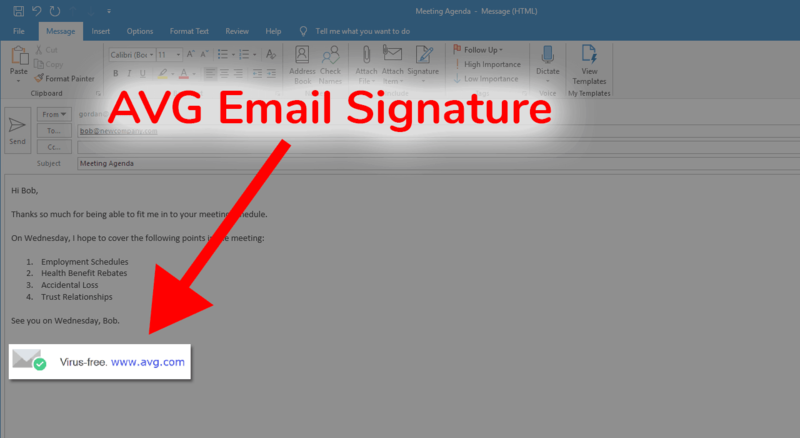 If the email signature setting is enabled in AVG, it will append the signature to every email you sent through Outlook or any other email client that you’ve installed on your PC. It will also append the email signature into Gmail or any other web-based email platform that you use. Keep reading to find out how to disable this feature. 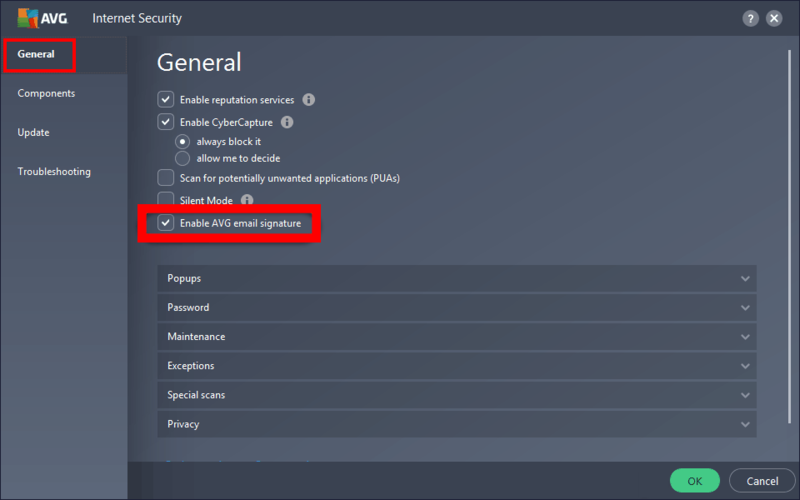 Open the AVG Management Console by either right-clicking on the AVG icon in your system tray and clicking “Open AVG” or by opening it from your start menu. 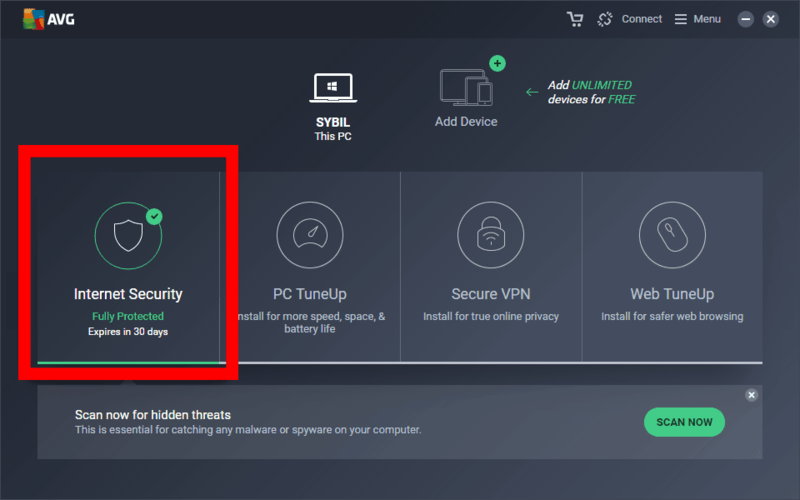 Click on the Internet Security tile. 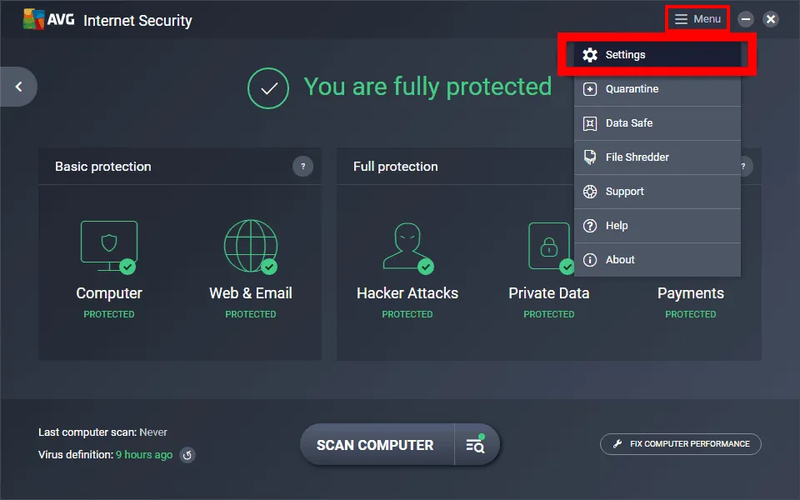 Find the setting for “Enable AVG email signature” and uncheck it. Close and restart your email software and also your web browser. The AVG email signature is now disabled. Anti-Virus email signatures are rather annoying and mostly useless. However, a well made professional email signature can have quite the opposite effect. If used correctly, it can drive valuable leads to your business. Try our free email signature generator where you can create professional email signatures for yourself and all your staff. 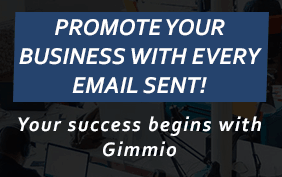 If you’re sending 30 emails a day, that’s 30 missed opportunities to promote your brand!